Planning a trip to Subic? Aside from visiting Subic Ocean Adventure, why not try their Tree Top Adventure or Jungle Environmental Survival Training? I tried the latter a few years back with my colleagues. It was tiring yet very interesting. The tour started with a 45 mins trekking into the jungle. Once settled, Kuya taught us some of the basics of mountaineering, fire-building, cooking rice using a bamboo, getting water from various plant vines and other and other wilderness survival technique with the use of utility knives. 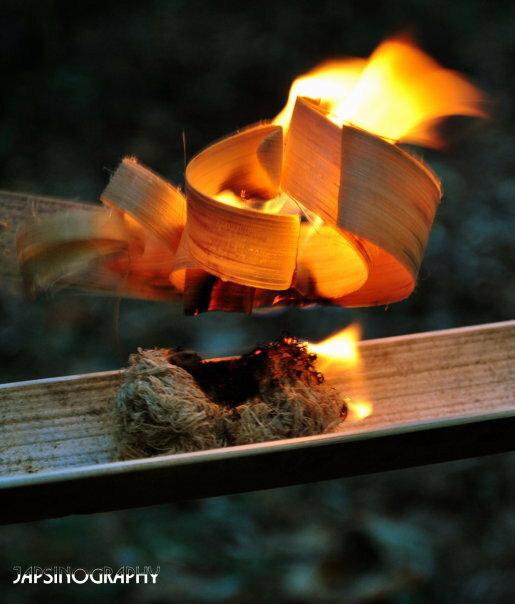 What was really surprising to me was when he created a full campfire out of nothing more than dried bamboo. Really impressive, it’s like magic! Next time you plan your trip, include a survival training in your itinerary. It’s worth your time and money!